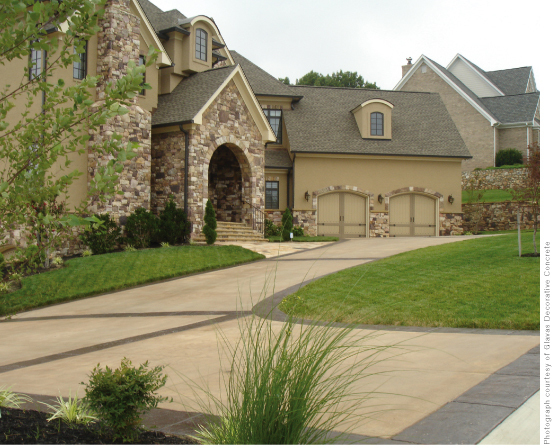 Asphalt and concrete are the most popular types of material for paving driveways. But their plain appearance can detract from the overall beauty of your home’s exterior spaces. If you’ve always wanted to complement your house with a brick driveway or cobblestone walkway, but were afraid these home improvements could be cost prohibitive, you may have been right—until now. Whether you want to transform your asphalt jungle into a masterpiece or just add a splash of color to the concrete area around a swimming pool, there are economical ways to add true curb appeal to your home. StreetPrint Pavement Texturing™ is a decorative paving system that uses specially designed templates to imprint asphalt, and a proprietary surfacing system called StreetBond™ to color and fortify the surface. The result is a decorative paving system that replicates the appearance of hand-laid brick, herringbone, slate, and even random stone. To apply, the asphalt is slowly heated to the preferred temperature, then the desired template is pressed into the softened asphalt by a plate compactor. Next, contractors apply a water-based, environmentally friendly product that combines proprietary polymer technology to achieve an exceptional combination of durability and natural appearance. The cost to install varies depending on the type of project (low traffic versus high traffic), size of the project, and the color(s), pattern and trim package chosen. Twenty-four hours is needed for the coating to cure, but the pattern will last as long as the asphalt does. Overall, asphalt texturing is resistant to oil, grease and gas. However, it is advisable to remove any spots as soon as possible by using a mild degreaser, scrubbing the area with a stiff brush and following with a high-volume, low-pressure rinse. 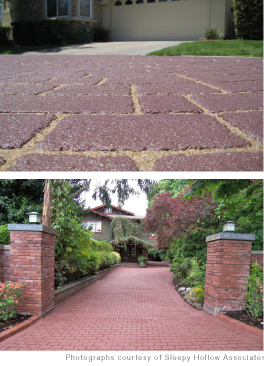 If you’re curious to see what your asphalt driveway could look like with an added texture, visit www.streetprint.com, click the Solutions tab and choose Residential, then Design Your Driveway. Concrete areas around the home can also be aesthetically altered to meet homeowner needs or artistic visions. 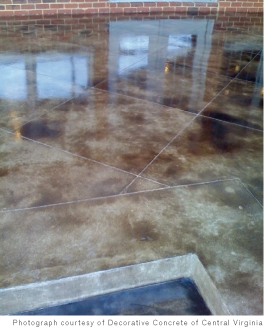 Decorative Concrete of Central Virginia offers stained, stamped, sprayed and stenciled concrete options. Oftentimes, the technique a homeowner chooses is dependent upon how the outdoor space is being used. For example, sprayed concrete is a grout mix literally sprayed out of a gun onto existing concrete. Tim Seay, of Decorative Concrete of Central Virginia, says this particular process provides a non-slip, colored and textured surface that is easy to clean and maintain, and stays cool to the touch in sunlight. “This product is very popular around pools,” says Seay. 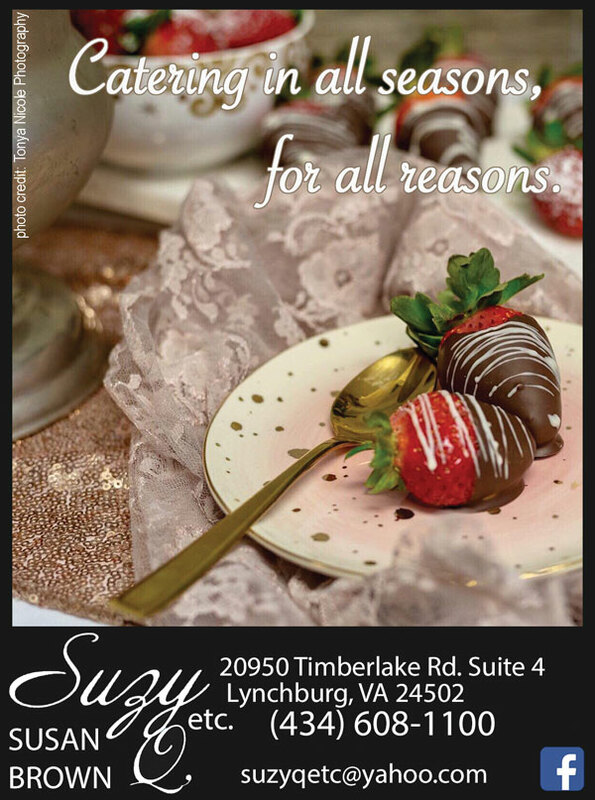 Costs vary from job to job, and location to location. Seay says the least expensive stain costs around $2 per square foot, while a hand-stained concrete overlay may cost between $10 and $12 per square foot. He also says that the price per square foot is drastically effected by the size of the job. For example, a 1,000 square-foot job could cost less per square foot than a 200-square-foot job. Seay also says that surface preparation is the most important step in restoring any concrete surface. “If the surface isn’t prepped properly, then the product will not hold up over time,” he says. “And it’s important for customers to make sure that whomever they are hiring can install a product that will last.” For more information about decorative concrete options, visit www.DecorativeConcreteofVirginia.com. Durable, practical, safe and sustainable: These asphalt and concrete upgrades boast many qualities. Adding such outdoor “artwork” may be the key to making a grand entrance even greater.